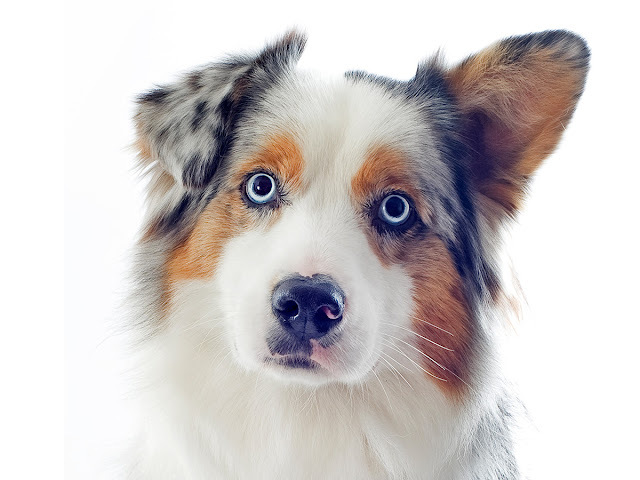 PRA in dogs actually refers to a whole group of hereditary eye diseases. Technically known as progressive retinal atrophy, it involves the degeneration of the retina in a dog's eye. The bad news is that it almost always leads to total and permanent blindness. The good news is that it isn't painful. I know that doesn't sound like much of an upside, but your dog might disagree. This one really sneaks up on both you and your dog. You won't see any squinting, redness or weepy eyes--and it's amazing how well a dog can adapt to slow loss of vision. He already knows the layout of the land--and your house--and his nose can help fill in the gaps. You may not notice the problem at all until you rearrange furniture or take him to a strange place. That's when he'll be hesitant to take off exploring like he used to do. You suddenly have a doggie burr stuck to your leg, and you wonder when that started. Ah, he'll never tell! A veterinary ophthalmologist can tell you, after a quick and painless exam, if your dog has progressive retinal atrophy. The retina tells the whole story. And it's news you didn't really want to hear. Unfortunately, there is currently no treatment for PRA in dogs. Your beloved pooch will probably lose his eyesight totally, in time. Though it's natural to feel sorry for your dog, he'll be much happier if you treat him just like you always have. He can still hear your loving voice, and smell all those delicious smells in the world around him. There are ways to help him cope with his blindness and learn to lead a relatively normal life. He'll still be the happy dog he was before--as long as you don't rearrange the furniture!